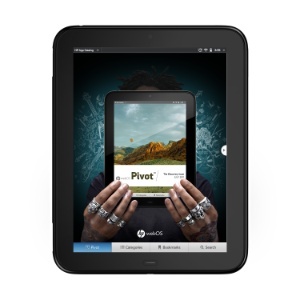 Designed to complement the HP webOS App Catalog, Pivot will showcase a broad range of applications – and the developers who create them – by providing customers the freedom to explore based on their interests and lifestyles. It’s just one of the new ways HP is enhancing the webOS Developer Program and investing further in the success of the growing ecosystem. Consisting of original content by journalists and photographers affiliated with leading publications, Pivot will include visually driven editorial pieces, columns from notable guest writers sharing their perspectives on digital culture, feature stories focused on applications around specific topics, and in-depth reviews – all accompanied by vibrant photos and illustrations on HP TouchPad’s brilliant screen. Content will be catered to the specific interests and requirements of a given region, appealing to a wide range of international customers.